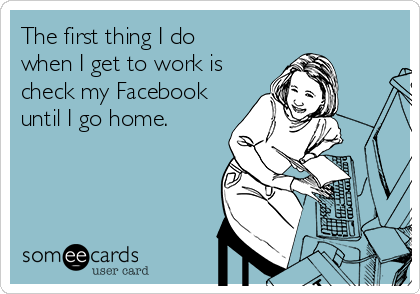 The Kerrie Show: What's Your Relationship with Facebook? What's Your Relationship with Facebook? My husband is going to love this one. He refuses to get a Facebook account, and I can't say that I blame him. Although I do find out cool things there; things that are useful in my homeschooling journey, encouragement, new friends, important life events of acquaintances when they are too busy to call every single person to say they are pregnant, for instance. It's also a place where my heart has been broken with drama, whether I started it or not! The majority of my time spent on there can be quite annoying to many because I'm mostly on there to promote my blogs, my writing, my proofreading, my ebooks. Today a friend posted this. Asked her if I could share and she said yes. Something to think about. I know it's going to be in my head all day long. I've been thinking a lot about Facebook lately. At times it is an amazing tool to reconnect with old friends or a great way to share the everyday with loved ones. However, it also is a place I spend too much time, time I could be spending caring for my children or tending to my home or husband. I find it a bit lonely in the day to day real life b/c many of us don't reach out to each other as often b/c we can just "catch up" on fb. Birthday's have become a day when we get excited to get many fb messages but the phone is quiet. That makes me feel lonely. Pictures I see posted can produce a sense of insecurity or frustration and can effect my mood. That is crazy. I've also realized that I have never seen or heard of anyone coming to have a personal relationship with Jesus b/c of the quotes I post or the religious pictures I share. I've also never convinced anyone to see things my way in the political arena but I certainly have offended plenty with my own opinions. As much as I love showing off my kids to the world, I would rather spend real time with my friends and family, sharing real life, the good and bad. With that said, I"m going to be closing down my fb account. Probably not deleting it altogether but downsizing it to almost nothing. It does not mean I don't want to be friends. It means I want to be real friends and spend real time with you. Please feel free to call me or better yet, stop by, even unannounced! You'll probably find me in the middle of a mess, chasing kids and wearing yoga pants. I will be keeping up my business page so if you want to see what's going on in that avenue of my life, feel free to drop by there and like my page for updates. You might see pictures of my cute kids there. Life has gotten off balance and I need to take steps to reclaim it. This is a hard choice as I love fb and love staying connected. I hope to spend some time with you soon.